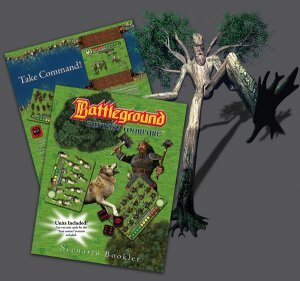 This book contains eight exciting Battleground: Fantasy Warfare scenarios that bring the world of Battleground to life while challenging your skills as a general. Play with the army lists given for each scenario or build your own. One of the eight scenarios, First Contact, contains all the cards needed for play; for other scenarios you will need your own Battleground armies, as well as dice and a dry-erase marker.